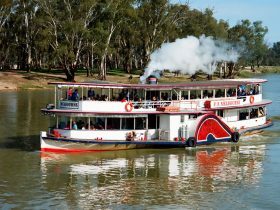 Mildura Paddlesteamers offer a range of cruises aboard the three vessels in their fleet; the Paddle Steamer Melbourne (1912), Paddle Vessel Rothbury (1881) and the Paddle Boat Mundoo (1987). Departing from Mildura Wharf, Mildura Paddlesteamers are a family owned and operated business, now into the third generation, after it was established by Captain Alby Pointon and his wife Freda, in 1955. Each vessel is available for Charter, Weddings, Functions, Conferences, groups and Coaches. 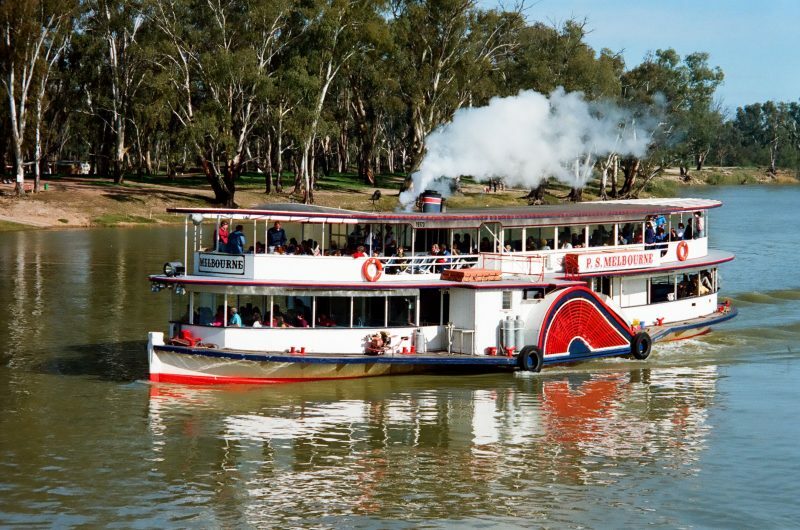 This cruise offers a relaxing two hour cruise downstream through Mildura’s Lock 11 (and return) on board the majestic steam driven, Paddle Steamer Melbourne. A comprehensive live commentary is provided, providing an educational insight on the Murray Darling River system and their environs, and the history of the paddleboats. This cruise has been running continuously for over 50-years and suits all ages. A light lunch – sandwiches, cakes, tea/coffee and cool drinks are available on board and the vessel is fully licenced. The Paddle Vessel Rothbury operates this cruise on Fridays, Saturdays and off peak. This is a novel cruise option aboard the Paddle Vessel Rothbury, where passengers are delivered to the riverside lawns of the historic Gol Gol Hotel. 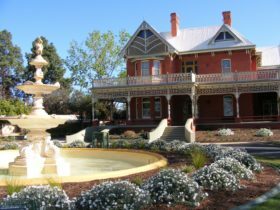 Guests are then required to take a short 200 metre walk up to the hotel where they may purchase their own lunch at special rates, or merely enjoy the hotel facilities and scenes. This cruise suits most ages; however children are restricted to certain areas in the Hotel. The short walk up a gentle incline may be difficult for some. Upon booking, please let us know if assistance is required to transport you to the hotel from the Gol Gol Landing. 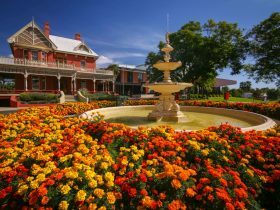 This cruise offers a relaxing five hour return day cruise, upstream from Mildura to the award winning Trentham Estate Winery, on the banks of the Murray River. 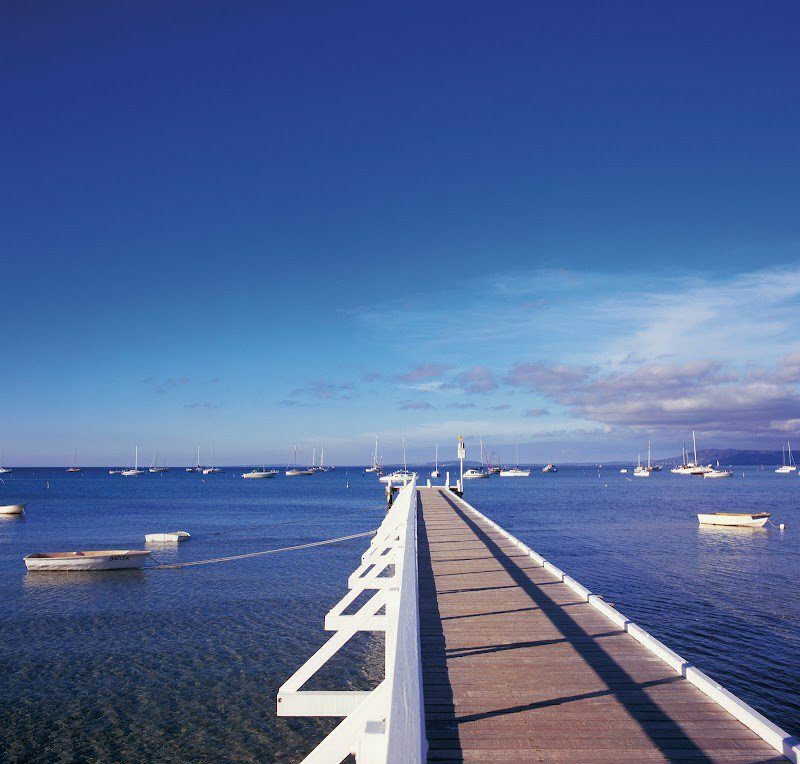 On offer is a commentated return cruise aboard the Paddle Vessel Rothbury to the winery, a two course barbecue lunch cooked by your Captain and staff, a tour of the winery with informative commentary and of course, wine tasting. 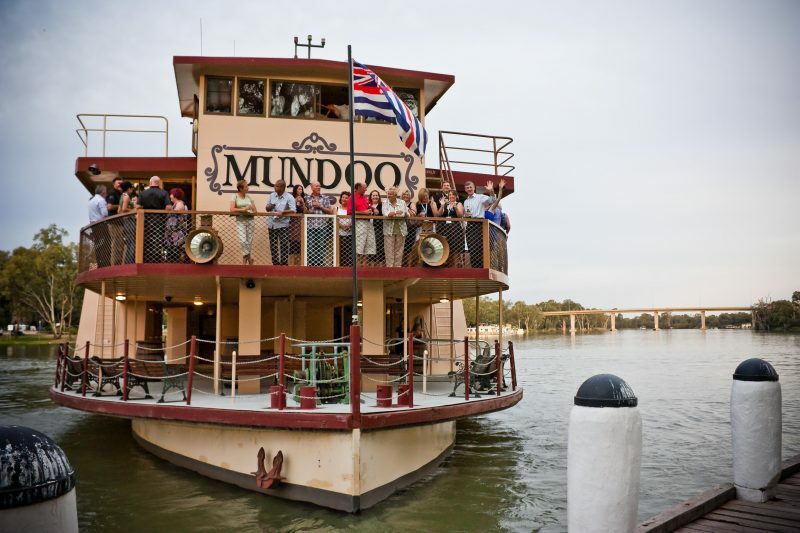 A relaxing evening dinner cruise aboard the Paddle Vessel Rothbury, cruising upstream from Mildura while enjoying a spit roast carvery dinner. Live entertainment is provided giving patrons the opportunity to dance if they choose, or to merely sit back and enjoy the tranquil floodlit river banks created by the PV Rothbury’s powerful floodlights. This cruise suits all age groups. The PV Mundoo will conduct this cruise if passenger numbers exceed the PV Rothbury’s capacity.